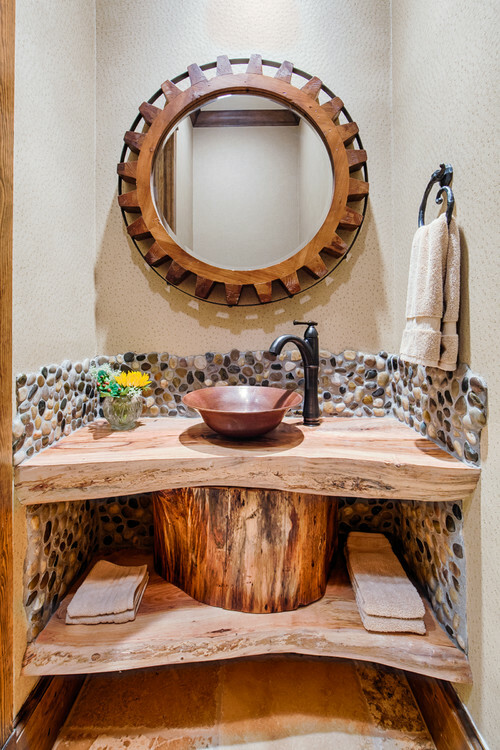 Choosing a rustic design style for your guest bathroom is a great way to ensure your visitors feel welcome. Choose unique accessories and decorative pieces that will leave a lasting impression on your friends and family. 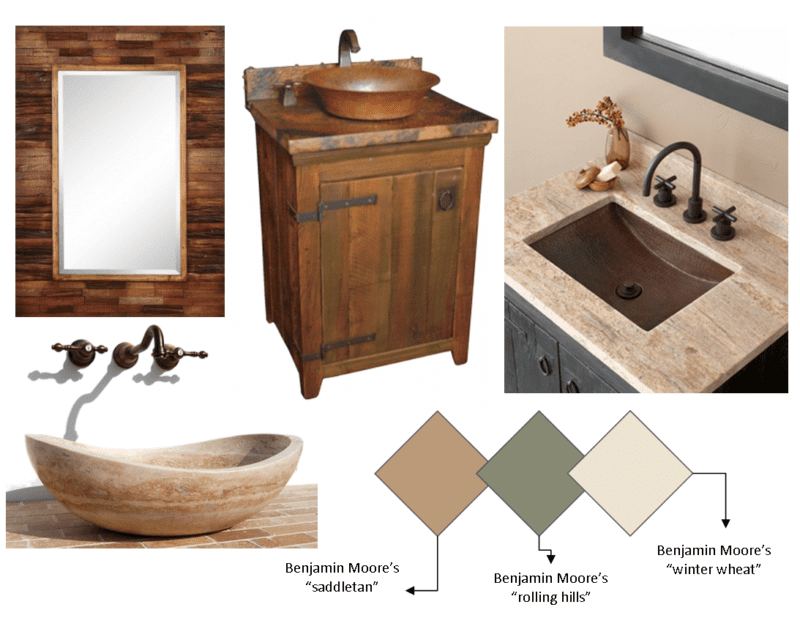 Distressed wood vanities, stone or copper sinks, and iron hardware will help establish a rustic environment. Try finding one interesting piece and basing the rest of the design off of it. 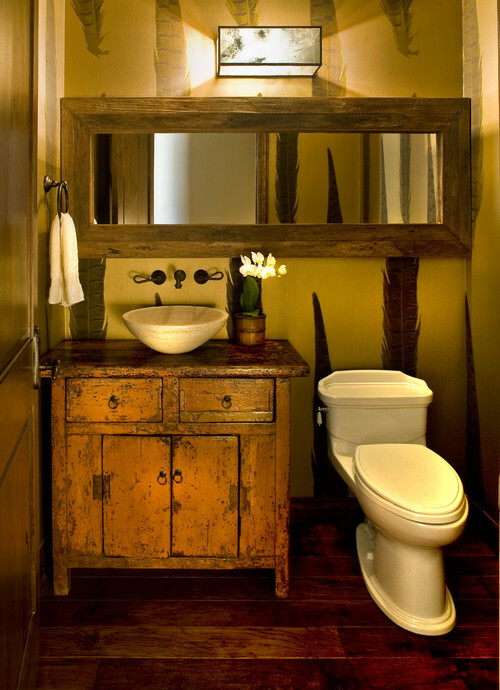 This mirror is memorable and the wood tones are carried throughout the vanity, backsplash and stone tile flooring.